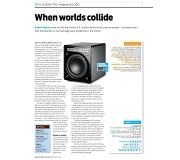 "JL Audio's CR-1 electronics crossover was a total surprise—I wondered where it had been all my life. It's beautifully made, sonically transparent, performs a critical role in the optimal setup of subwoofers, and has ergonomic bypass and mute functions that let you immediately hear the sonic improvements of good bass management. 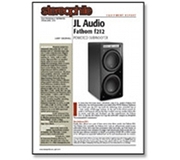 JL Audio's Fathom f212v2 subwoofer and CR-1 crossover are strongly recommended." Jeff Fritz "Those who want to perfectly blend a powered subwoofer(s) with topflight main speakers in a high-end stereo system should consider as mandatory JL Audio’s CR-1 Active Subwoofer Crossover. It’s flexible, transparent, and intuitive to use. So grab an audio buddy, spend a few hours with a CR-1 to dial in your system to the nth degree, and you’ll surely be rewarded. If the rest of your components are up to snuff, when all’s said and done you’ll have a full-range system that can approach the sound of those big, superexpensive, multiway loudspeakers you can only dream of owning. The CR-1 puts incredible sound within your reach." "So in addition to its pretty looks and capable controls, the Dominion d108 sub is astonishingly good in output. Played unseen, I might have thought it was subwoofer with a 12in driver and a solid amp." "This one's a keeper. 'Merican-made, too". 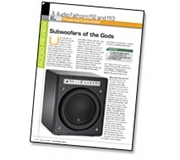 "JL Audio’s E-Sub e110 is a terrific component. If $1500 is your price point, then you’re missing something special if you don’t give it a listen. Recommended." 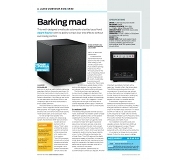 "This subwoofer takes excellent performance up several notches, reproducing the dynamic, textural, and tonal nuances in acoustic or electric bass playing. Despite “light on its feet” agility, the e112 also delivers tremendous bottom-end authority. It’s this combination of finesse and impact that makes the e112 such a stand-out in a crowded field-and at an eminently affordable price." 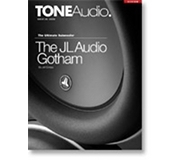 JL Audio is renown for sound quality and the E112 is no exception, clearly adhering to the company ethos. Regardless of what I played, how high or low the volume, how challenging and complex the passage, dynamics and transient response were superb. The output was always nimble, never once being confused or overwhelmed by what I had chosen. I don't lightly bestow the term "musical" on any subwoofer, but the E112 certainly fits my description of the word. 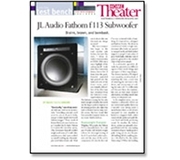 Chris Martens "The bottom line is that JL Audio’s Fathom f113 offers benchmark performance in terms of bass extension, power, transient speed, and clarity. 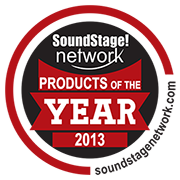 It is beautifully made, easy to use, and gives surefire results on music and movies." 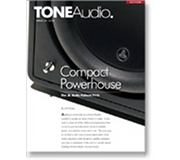 John E. Johnson Jr. "It is expensive, but notwithstanding, even just one of these subs will satisfy the most critical of home theater aficionados. 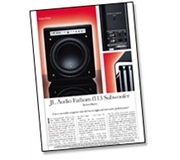 The f212 is one of the finest subwoofers in the world." 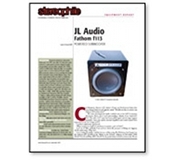 "The Fathom f212v2's bass resolution was revelatory. When I played Don Dorsey's "Ascent," performed by Erich Kunzel and the Cincinnati Pops on their Time Warp collection (CD, Telarc CD-80106), the JLAs' imaging let me better distinguish the positions of the synth beats that move from side to side. Dynamics ranged from soft murmurs to a thunderous rumble as the synths blended into the sustained 31.7Hz organ note that begins Strauss's Also sprach Zarathustra on that same disc."